I’ve got another dip for you! 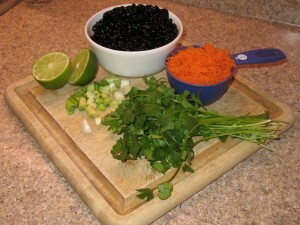 This one’s called Lime-Spiked Black Bean Dip, and it’s a Cooking Light recipe. The first time I made this dip, I thought it was delicious. And then I forgot about it. 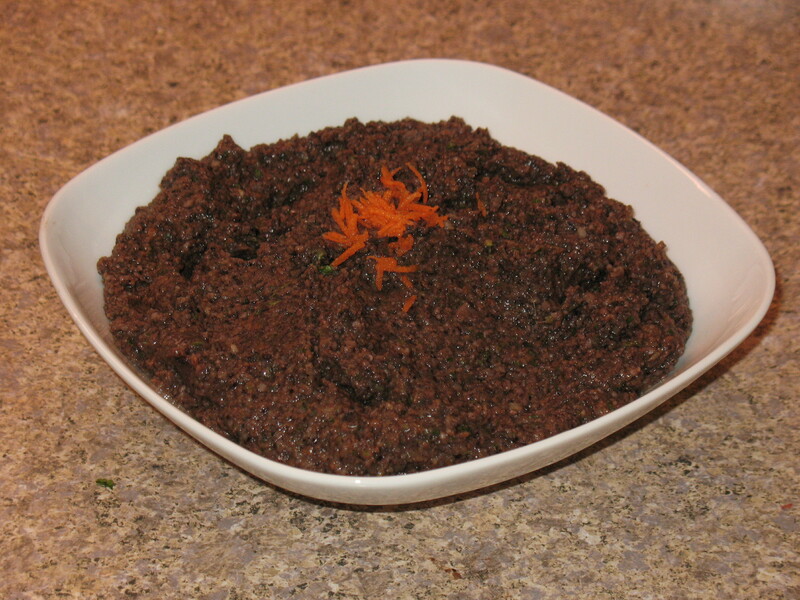 Because, when I looked at the recipe, I’d think to myself, “That must have been something that was pretty good considering how ridiculously healthy it was, but I want something uber-yummy.” Then one day I picked health over uber-yumminess, and I remembered that this dip gives me both. Hooray! Of course, I have to tinker with recipes, and with this one, I add probably 50% more lime juice, maybe even double. I also go easy on the green onions (not my favorite) and throw in extra cilantro (a favorite for sure, and every time I eat it I thank The Fates that I didn’t get the Cilantro-is-Soapy gene). Finally, I puree the whole dang thing. That way I can be lazy about the chopping. I do, however, still grate the carrots. That’s because I’m really not crazy about raw carrots. They’re just so–ewww–carroty. But if they are in teensy, teensy pieces, then I can handle them. Anyway, I find this one super-tasty. It’s good for veggie dipping, but I also like it (and, come to think of it, the first detox dip) spread into half of a red pepper with a slice or two of avocado on top. Yum. My kids are wearing their PJs inside out for a snow day, which I’d never heard about until tonight. And I am old. So if we are shut in, what’s everybody doing to entertain themselves? Love this recipe! and it’s great on the 4-Hour Body diet! Oh hurray for putting this one up. I was looking for it! I have a good hummus recipe. Does that sound interesting? I would love a good hummus recipe for myself, but so far it seems that my kids only want store-bought hummus. Of course, they don’t eat these first two dips, either.